Have you ever heard of a dirty chai? A friend who used to work at Tazo Tea introduced us to it. We would order a chai tea latte with a shot of espresso added, and it was quite delightful; kind of richer somehow. Turns out coffee and tea taste really good together. 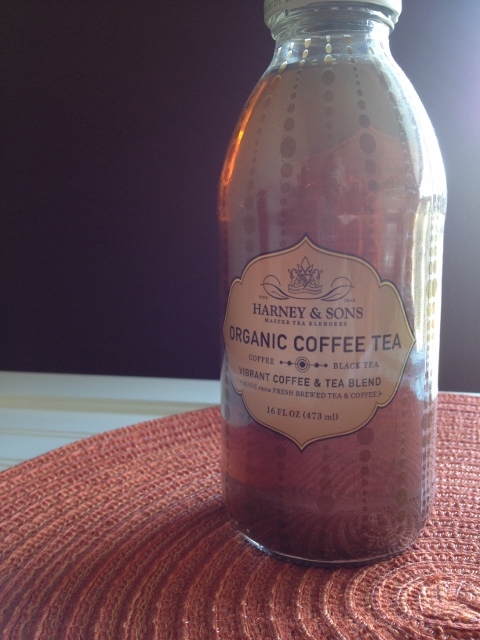 That dirty chai experience led me to try a bottled product I enjoyed last summer, Harney and Sons Organic Coffee Tea, which I attempted to recreate on my own. 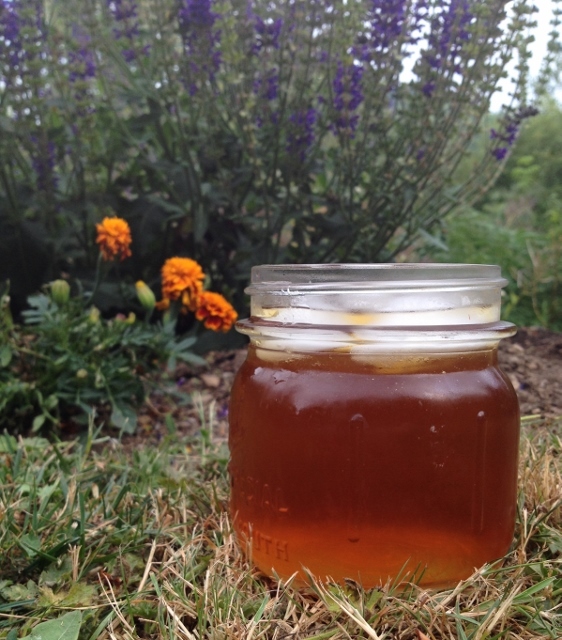 I think I’ve closely matched the strength, flavor and sweetness with today’s recipe. Before I started brewing my own blend, I actually just took a bottle of the Harney concoction with me to my local tea shop and asked for their advice. 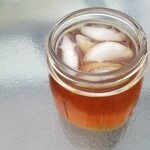 They suggested using Ceylon Kenilworth or Scottish Breakfast for the tea, and encouraged me to try the cold brew method to minimize any bitterness from the coffee. It worked! And it couldn’t be easier. 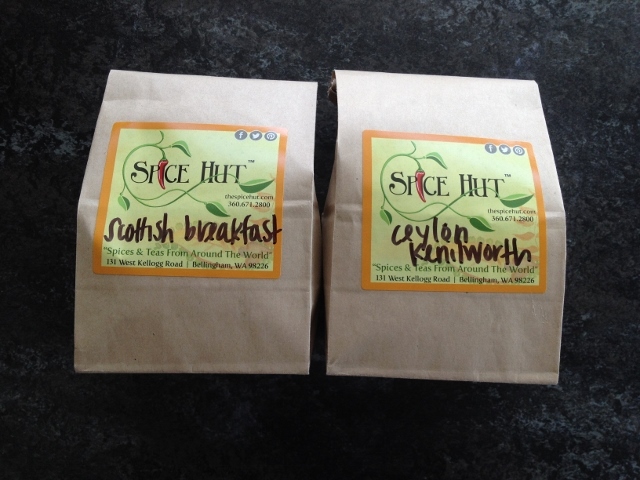 With a little research I learned that Ceylon Kenilworth is a black tea from Sri Lanka. Kenilworth is the name of the estate where it’s grown. Before we get to the recipe, we should probably take a minute to talk about the health effects of these delicious brown liquids. Caffeine is certainly a consideration. For most healthy people, the equivalent of 3 to 4 cups of brewed coffee (we’re talking 8 oz. cups here) daily is a reasonable intake. But you’d want to think carefully about giving too much caffeine to kids, pregnant or breastfeeding women, or anyone with high blood pressure or heart conditions. Despite the caffeine concerns, both coffee and tea are being looked at as beverages with possible benefits. Tea provides flavonoids that may positively impact cancer and heart disease and initial research on coffee suggests it might lower the risk of type 2 diabetes and liver cancer. Sooooooooo…this doesn’t give us the green light to down pots of coffee and pitchers of tea, but I believe they can both be part of a selection of healthy beverages we choose from every day. 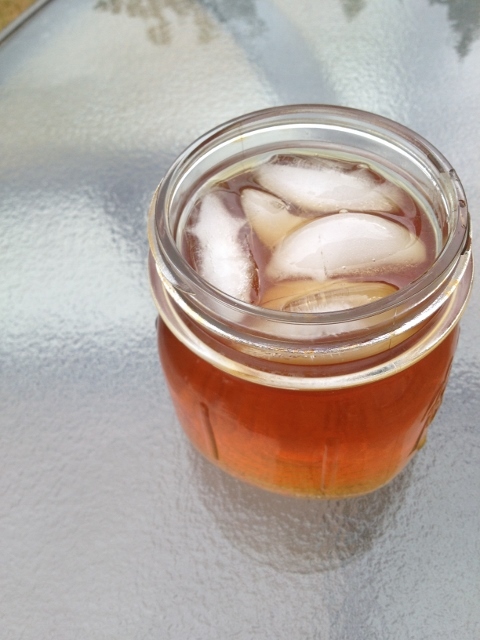 Put tea, coffee, sugar and honey in a quart mason jar or pitcher. Cover with water and stir. Cover tightly, shake a few times, and refrigerate for 6-10 hours. Pour through a fine mesh strainer, pressing tea leaves and coffee grounds to remove as much liquid as possible. Serve over ice and enjoy. I’ve included the amounts for a basic recipe here which mimics Harney and Sons, but play around with it. My husband liked the stronger coffee flavor when I used 0.3 oz. of beans, and a couple of taste testers said they’d enjoy it a bit sweeter overall. 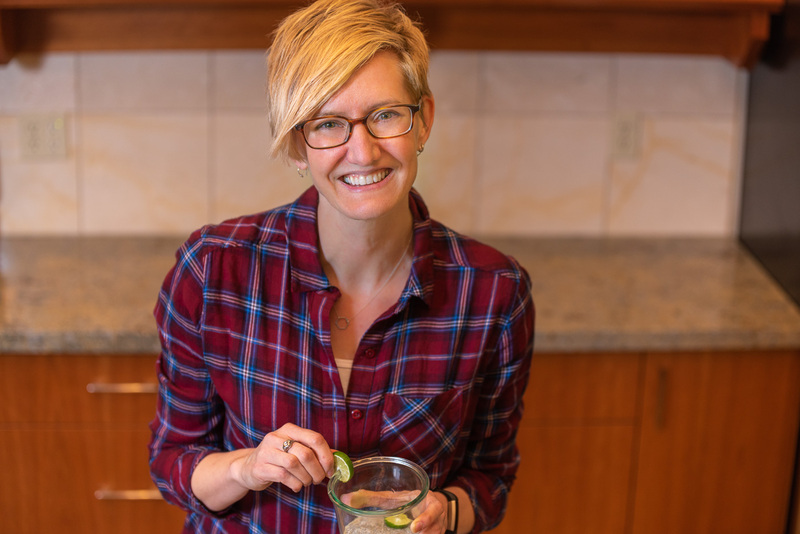 This vegetarian won’t be too surprised if research continues to support the idea that drinking water steeped with coffee beans (Coffea arabica) or tea leaves (Camellia sinensis) may on some level improve health. They are plant foods, after all. What favorite drinks do you think might go well together?